Here’s your chance to meet the Woman’s Weekly experts and develop your own writing. Our Fiction Writing Workshops are becoming ever more popular. If you want to learn how to write the sort of fiction we want to buy, then come along and see what it’s all about. There’ll be plenty of fun and a supportive, friendly atmosphere. Gaynor Davies has been Woman’s Weekly Fiction Editor since 1987 and is also the editor of Woman’s Weekly Fiction Special. She loves lending a guiding hand to our ever-growing band of writers of short stories and serials and she has seen Woman’s Weekly’s fiction expand its scope to include a broad range of styles and moods. It is the individual voice within each writer that she loves to encourage when searching for new talent. Get your tickets by calling 0800 024 1212 or fill in the booking form on the website. Click here and complete our coupon and send it to: Woman’s Weekly Marketing, Blue Fin Building, Room 06-N2-02, 110 Southwark Street, London SE1 0SU. Please enclose a cheque made payable to Woman’s Weekly Shop (no cash, please). If you are unable to print off our PDF booking form, please click here and provide your details, and we will send it to you. Workshops run from 10am to 4.30pm. The workshops will be held at Woman’s Weekly HQ: Blue Fin Building, 110 Southwark Street, London SE1 0SU. The office is within walking distance of London Bridge, Waterloo, Waterloo East, Blackfriars and Southwark stations. Do bring your own notebook and pen or tablet. There is a canteen on site, and you can buy a cooked meal or sandwiches to eat on our roof terrace if the weather is fine. There are also local sandwich bars or you may bring your own lunch. 10.30 TALK: GAYNOR DAVIES — Writing for the Woman’s Weekly audience. 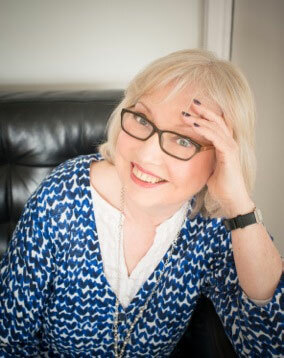 11.45 TALK: SUZANNE AHERN — Introduction to serial writing. 2.30 EXERCISE: Plot and cliff-hangers. 3.15 Bringing it all together. Tickets will be allocated on a first-come, first-served basis. Woman’s Weekly has the right to change the itinerary of the day. Please note, tickets to this event are non-refundable, unless it is cancelled or postponed. A guest-list policy will be in operation at the event. Shortly after purchasing tickets you will receive confirmation: this is your ticket to the event, so please retain it for future reference. Tickets cost £75. Please bring a note book and pen and feel free to bring your own digital devices. Workshops run from 10am-4.30pm. The workshop will be held at our office at Time Inc. (UK), Blue Fin Building, 110 Southwark Street, London, SE1 0SU. The office is within walking distance of London Bridge, Waterloo, Waterloo East, Blackfriars and Southwark stations. Please note that lunch is not included on the day. There is a canteen on site, where you can buy a cooked meal or sandwiches to eat on our roof terrace if the weather is fine. There are also local sandwich bars or you may bring your own lunch.